Why am I calling this a one way ticket? ‘cos once you take this ride, you are lost in the flavors and you wouldn’t wanna book a return ticket. Delhi-6 a.k.a Puraani Dilli is a place rich in heritage and tradition. That holds good for the food found there. I have heard its a foodie’s paradise, but never got a chance to visit the place yet. 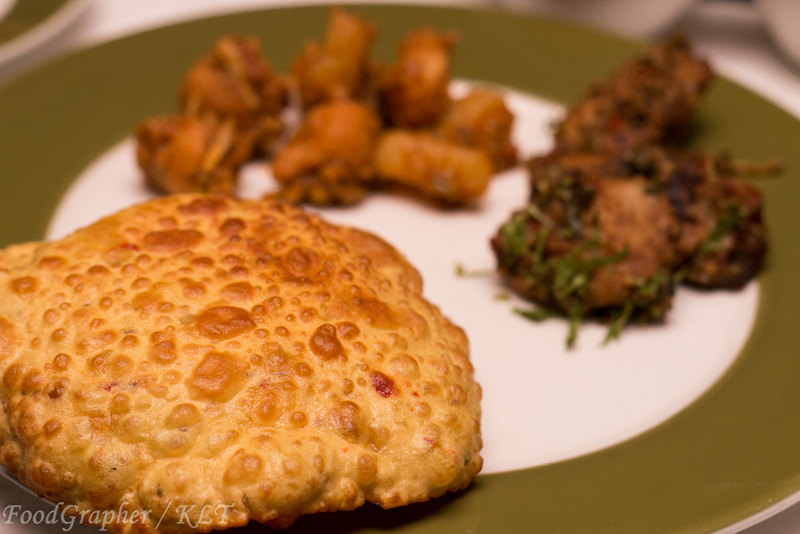 Last week I got an invite from a friend to go preview a dinner festival at ITC Grand Chola, and I was pretty eager to see what was in the making. 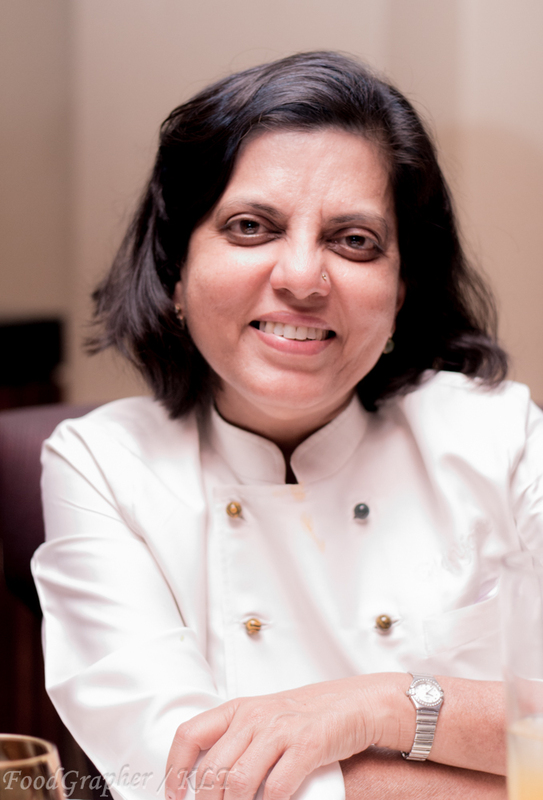 ITC has brought in their renowned Chef Gunjan Goela (who has rolled out amazing recipes at Royal Vega) for this festival, which is also her brainchild. Interacting with her was like taking a trip to Old Delhi itself and I couldn’t wait to taste the recipes she had in store for us. It all started with a glass of Pineapple panna (a twist to the aam panna). 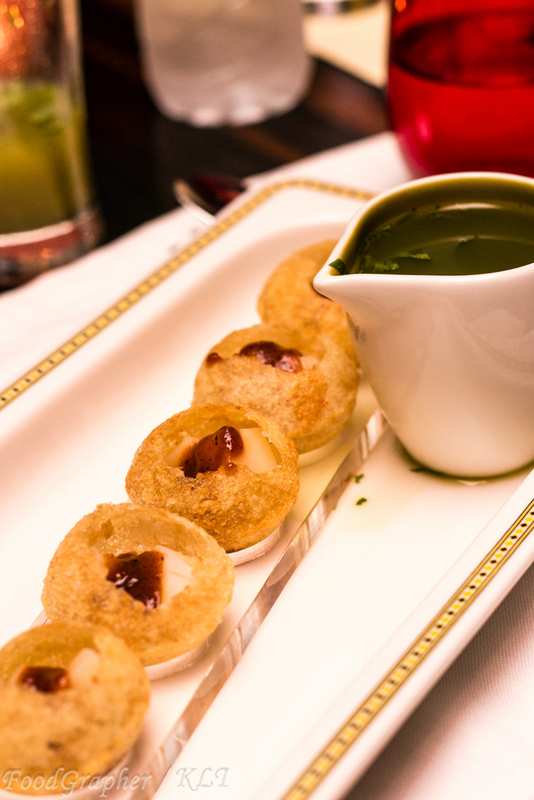 While I was just getting used to the drink came the best ever looking Paani puri plate, and tasting it I realized that those were the best ever paani puri I have tasted in the recent times. It had a very different taste than the ones regular ones you get here, and as Chef calls it Paani ke Bataashe. 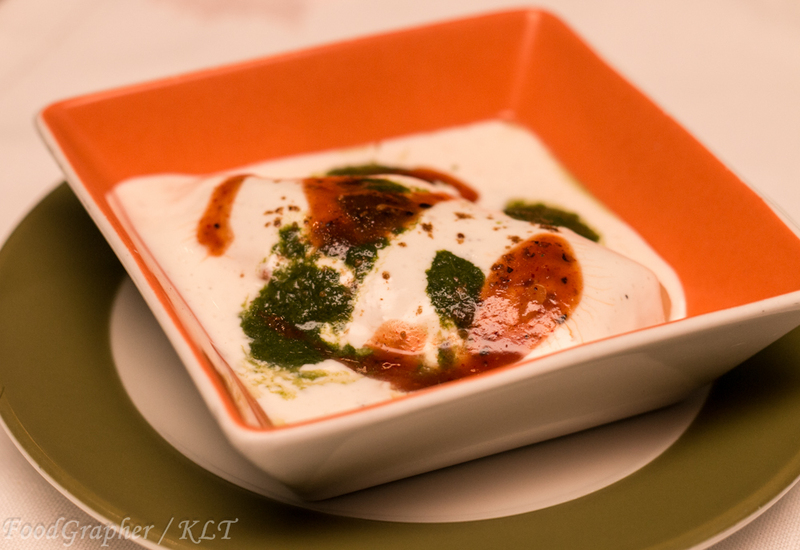 Next came the colorful bowl with Dahi ki Ghujia. 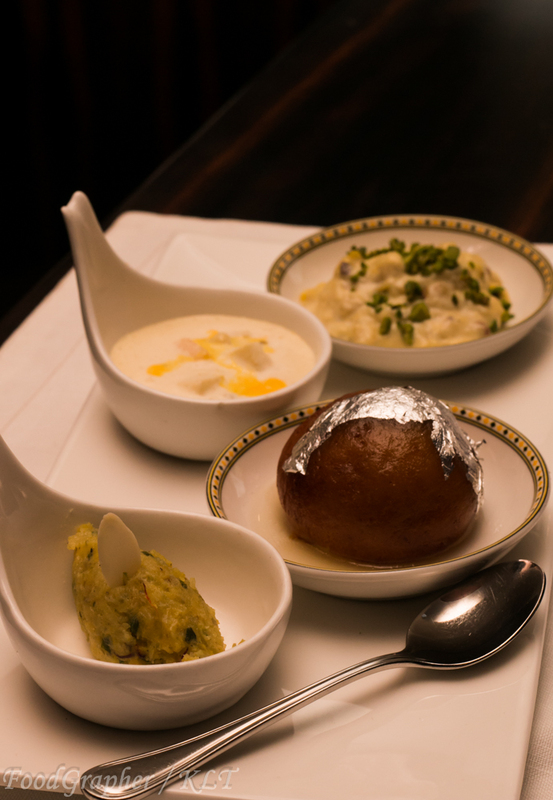 The cashew and raisin core of the ghujia was a delight with the rich dahi. I couldn’t do with just one, but had to leave space for more dishes. 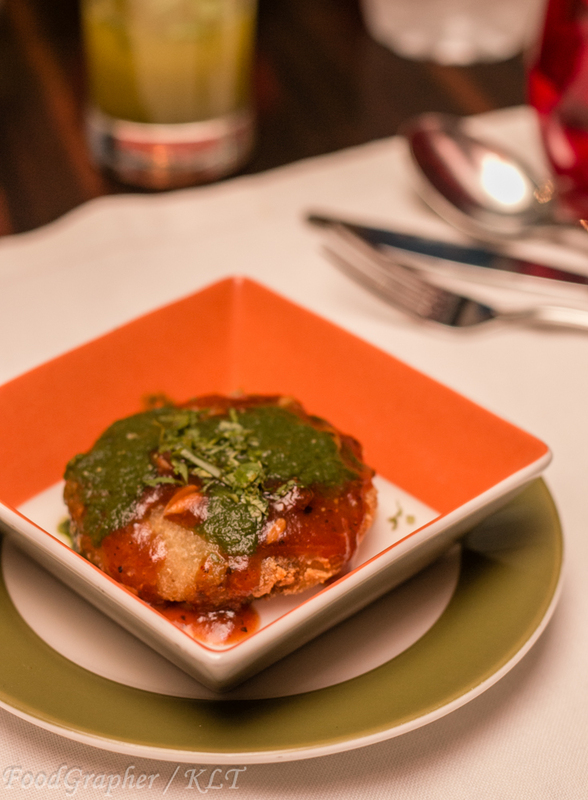 Next in line was a flavorful aaloo tikki. With just three street food starters, I was already swimming in the flavors and to top it off came the saffron and almond rich thandai. slurrp!! It was time for maincourse, Bedani (a kind of whole wheat poori), Seetafal ki sabzi, Aloo methi ki sabzi, Tarbooz aur angoor ki subzi, bhuni arbi and not to ever forget Gucchi Pulao. All were made as it would have been made at home and yup, Chef had spent a whole day prepping and cooking all these herself. And you read it right, gucchi pulao, sounds exotic? gucchi is Morrel, mushroom like plant and it has a very taste. My pick of the lot was tarbooz aur angoor ki sabzi. 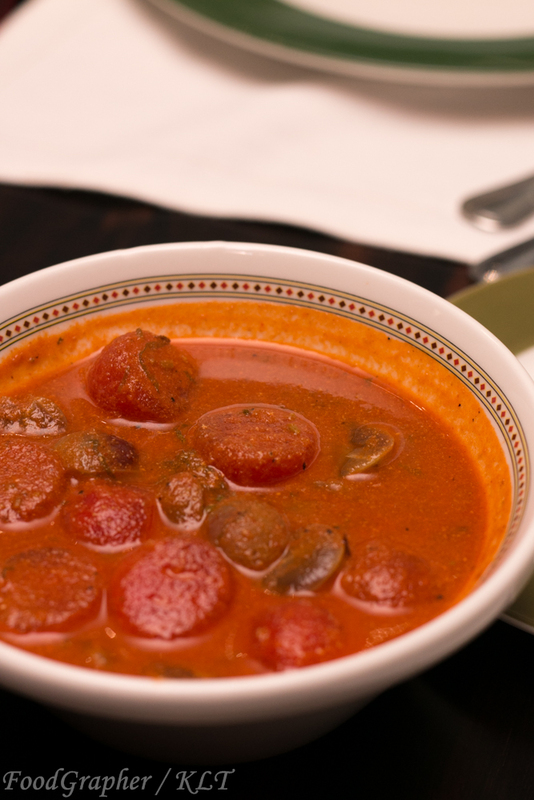 Wait, do they make curry out of watermelon and grapes ?? It tasted awesome, not sweet but still the taste of watermelon and grapes would linger on your tongue forever. 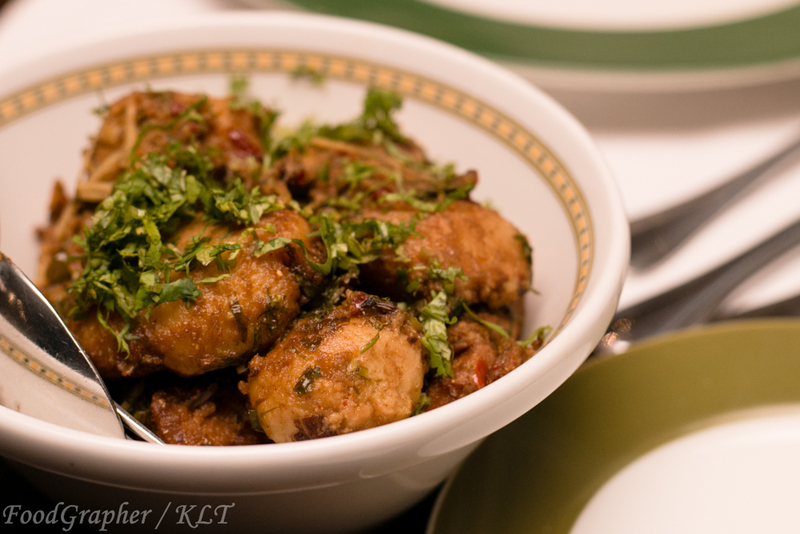 All the dishes have distinct flavors, and I was totally lost relishing all of them. And to note, these are all vegetarian dishes, without onion or garlic. You wouldn’t realize onion and garlic were missing unless it was pointed out. A big thanks to Chef Gunjan for taking me on a trip to Delhi-6. I hope to make a real trip to puraani Dilli very soon. 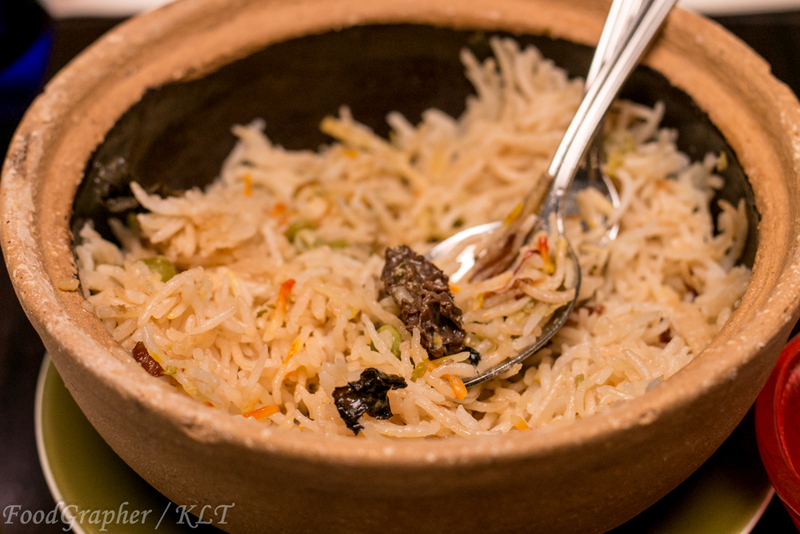 This entry was posted in Indian, Vegetarain and tagged Cafe Mercara Express, delhi6, gucchi, gucchi pulao, ITC, ITC Grand Chola, Madras Pavillion, makhaane, puraani dilli, tarbooz subzi. Bookmark the permalink.